I’ve had these apothecary jars for years. I’ve used them for parties and such but for the past three years they have been displayed in my kitchen with fake fruit inside. Tired of looking at fake fruits, I decided to change them up a little. I’ve noticed a lot of artificial succulent gardens at Home Goods, various small boutiques, and even at Nordstrom’s during Christmas. 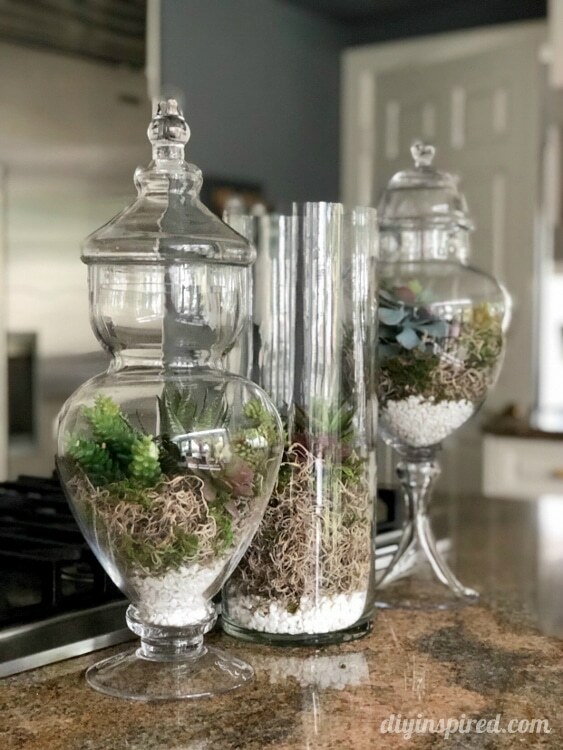 I thought they looked great and naturally thought, “shoot… I can make that for half the price” because I already had a lot of the supplies including my apothecary jars. The instructions and materials list contains affiliate links for recommended products. First, I started with the pebbles on the bottom. I purchased one container of white pebbles from Michael’s for 30% off. I used the entire container dividing it in three. 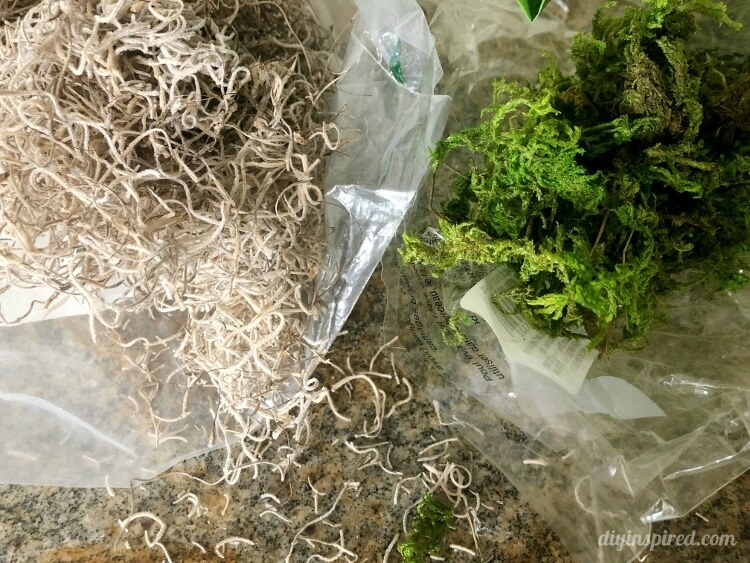 Next, layer the two types of moss, Spanish moss and green moss. Both were purchased at Hobby Lobby. Michael’s also has a sale right now on artificial succulents and air plants. I purchased a variety for the three jars. 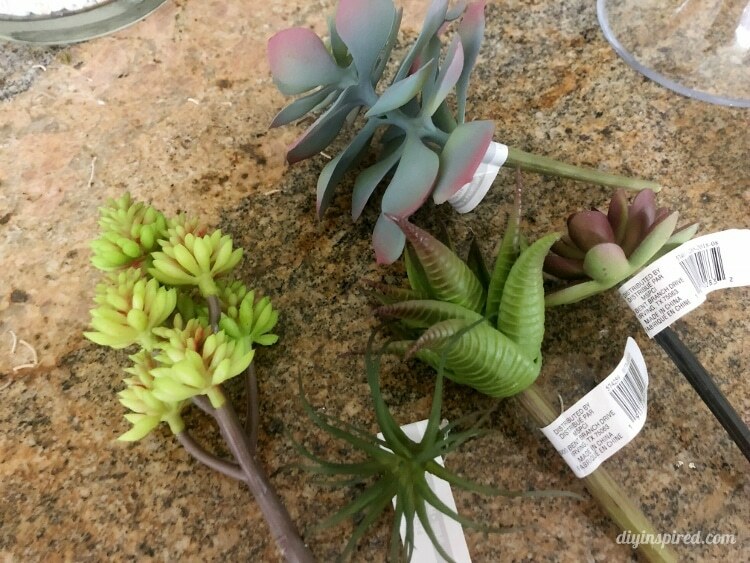 I’ve also purchased artificial succulents on Amazon, which I highly recommend. 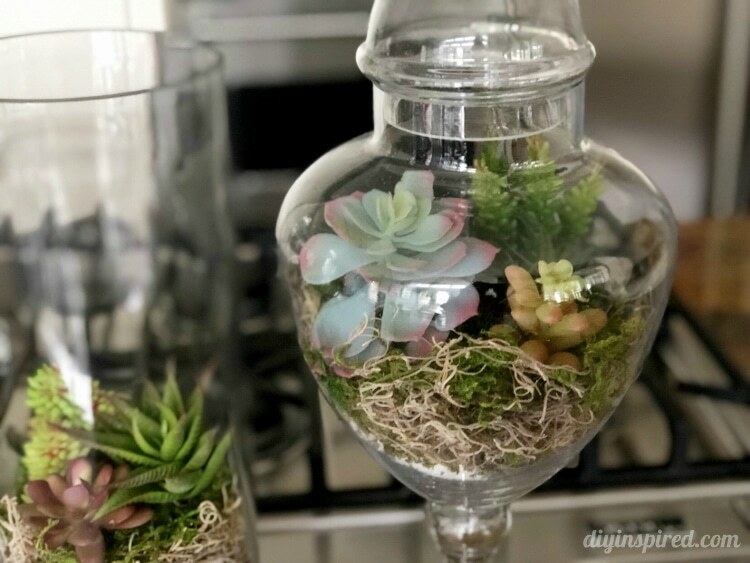 Lastly, arrange the succulents in a variety of heights and colors in each jar. That’s it! It turned out great.